Despite intermittent rain and a bit of wind, the 2013 John Lennon Peace Concert took place last night [Sept 21] at the Botanical Gardens in grand style. 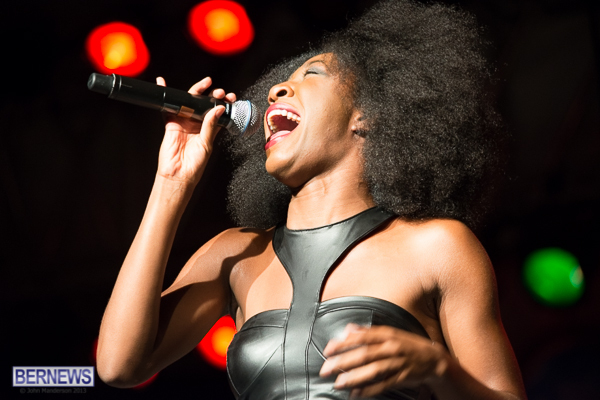 This year marked the second time the Lennon Peace Day tribute concert has been held, which is organized by local promoter Tony Brannon and his team of dedicated volunteers. 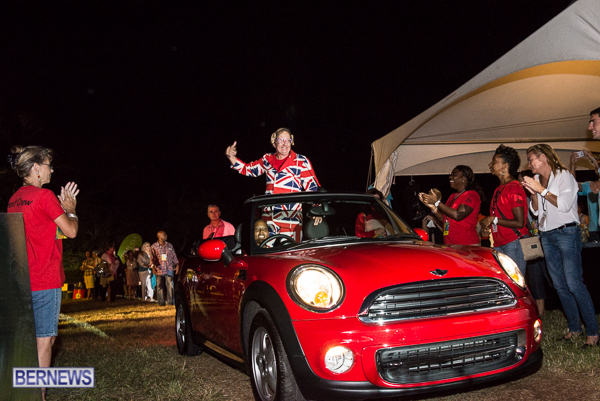 The night was hosted by veteran entertainer Jimmy Keys who arrived in in a convertible red Mini, wearing a Union Jack suit and rather large ears. Keys took charge of leading the event, providing his unique style of comedy. Local artists kicked the show of starting with the Bermuda Music School, followed by a string of female Bermudian vocalists backed by the Glass Onion Band. 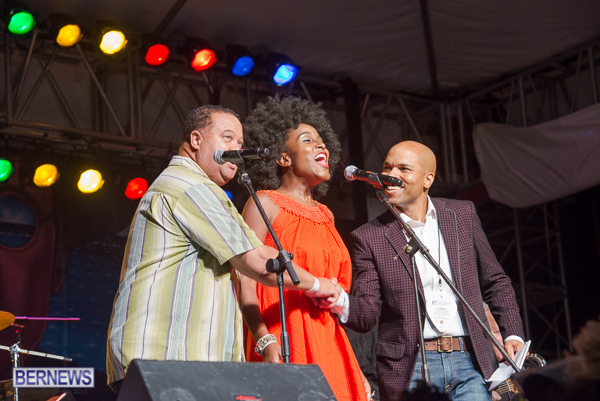 Once Keys had entered the grounds and opened the show, he welcomed Tony Brannon to the stage who brought up Tourism Minister Shawn Crockwell and Shadow Tourism Minister Wayne Furbert along with well known local singer Joy T Barnum to sing “All you need is love” by John Lennon. The show then saw Phil Morrison hit the stage followed by Robert Sai Emery, McCartney K, Joy T Barnum, K Gabrielle, Rachel Brown, Heather Nova, Uzimon, Chris Finsness, Michelle Morfitt and Mike Hind. There were a couple of short delays for technical issues which were rectified quickly,and after another brief but rather heavy shower the final two overseas bands hit the stage. First up was a 45 minute set by the always entertaining Biggie Irie and Splashband, featuring Bob Marley songs that had most of the large crowds, who by this time had donned rain protection, on their feet jamming. Finally the headline act was up, the Fab Faux, with the Beatles cover band performing many of the well known hits from the iconic musical group. You can view videos of the concert by clicking here. Are you saying that God killed John Lennon – through the Born-Again Mark David Chapman – for not believing? Chapman, a former fan, is said to have turned against Lennon because of his comment that the Beatles were more popular than Jesus. Are you saying God had something to do with this? And, if so, why would you follow that God?